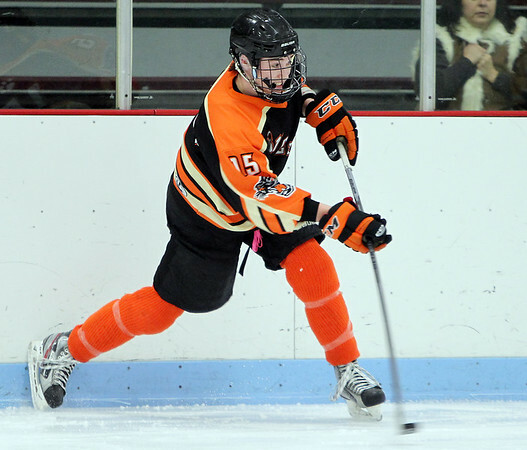 Beverly senior captain Jesse MacLaughlin (15) fires a wrist shot from the point on a Panthers' power play opportunity against North Reading. DAVID LE/Staff photo. 1/19/15.